Selected Ranger photographs from the three successful missions were subsequently published by NASA. Exhibited is one that shows most of the crater floor of Alphonsus. 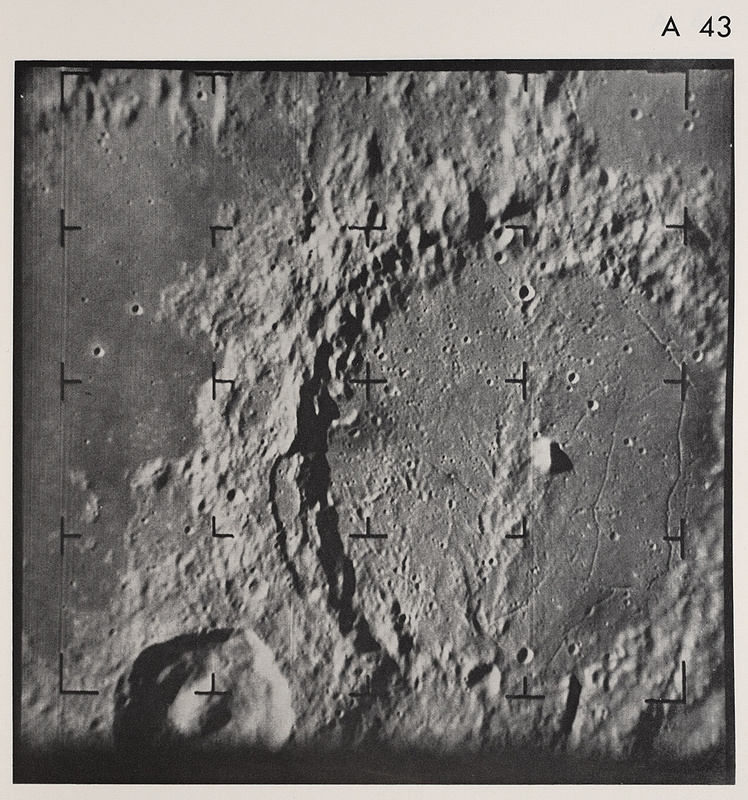 These photographs subsequently formed the basis for the most detailed maps of a region of the moon yet attempted, by both the U.S. Air Force (see item 41) and the U.S. Geological Survey.